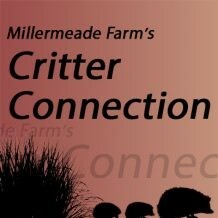 Millermeade Farms has been selectively breeding hedgehogs since early 1997. We strive to produce the best quality hedgehogs that are possible. We do our best to accurately represent our animals. Each animal has been handled and observed for anything that might jeopardize its health in the future. We encourage all customers to carefully observe their pet before taking it home and express any and all concerns. Both our Premier Plan and our Discount Plan babies are competitively priced with breeders of similar knowledge, experience, and quality. We encourage you to compare us to other breeders listed at www.hedgehogcentral.com or www.hedgehogworld.com. One might be able to find cheaper babies elsewhere but we are confident that our prices are not only fair, but a great value when one considers the before and after sale support we give our customers. We offer our unique care and handling seminar to all of our customers that is included in the price of our animals. Our Premier Plan is our most popular plan for purchasing pet hedgehogs due to the additional services and features this plan offers. All hedgehogs that will be used for breeding stock should be purchased through this plan. We want to ensure that any hedgehog sold for breeding stock is an animal that we would select for our own herd. All hedgehogs that are purchased under the Premier Plan are eligible for a discount of $10.00 when a cage package is purchased at the same time as a hedgehog. Customers purchasing two hedgehogs must purchase two cage packages to receive two cage package discounts. We work very hard to offer cage packages that are a great value when compared to purchasing items individually at a pet store. The $10.00 discount on your hedgehog is our way of saying “We appreciate your business”. Prices listed for animals and cage packages are eligible for a $5.00 cash discount. We cannot charge extra for using our credit card processing services so we are happy to offer cash discounts Deposits are considered a cash payment and do not affect the cash discount. Animals are placed on the discount plan for several reasons. The hedgehog is older (12 weeks or more) and needs to find a home as soon as possible. We have a surplus of babies of a particular color. Albinos, for example, are harder to place in homes so we often discount them when we have several available. The hedgehog has a physical blemish that doesn’t affect their pet potential. The hedgehog is slower growing and NOT recommended for breeding stock. The hedgehog has a behavioral trait that may need extra time, attention or patience. The Discount Plan is perfect for customers who are NOT concerned about color. (We do accept requests for NON-albino or red eyes). This plan is ideal for those willing to work with a hedgehog that might need extra time, attention or patience. Customers in this plan have a flexible with the time frame they are able to take a hedgehog home. Ideal customers for this plan understand selection and availability is very LIMITED. This plan is NOT ideal for those who want the perks and benefits of the Premier plan. This plan is a deal because it does not offer the same perks as the plan with higher price. We do NOT have a waiting list for discount plan babies or accept advance deposits for this plan. We cannot predict when we will discount plan babies available. We do NOT provide advance pictures of babies. Babies listed as “shy” or have any type of noted behavior issue will require extra handling and patience and are typically best suited for experienced owners and NOT recommended for children. Discount Plan animals are NOT recommended for breeding stock hedgehogs unless they qualify to be upgraded to the Premier Plan. We are aware that it is possible to purchase a hedgehog under the Discount Plan with the intention of breeding or to purchase an animal at a cheaper price. However, the owner may not be using animals that meet our breeding stock standards or recommendations. This may result in less than optimum quality offspring and thus reflect on the reputation of the breeder and hedgehog industry. We value our integrity and we believe it is one of the most important elements of a successful business. Some, but not all, animals on the Discount Plan can easily upgrade to the Premier Plan. For example, albino babies or babies with minor physical blemishes usually qualify for the Premier Plan. Hedgehogs that are slow growing or have had a prior illness to going to a new home do NOT qualify for the Premier Plan. We are happy to take photos of Discount Plan babies for $10.00 photos session fee by using the “Other” tab on our Deposit Page. We do not text or email pictures other than by listing them on our Available Babies page. The animal will then be listed with a picture on the website instead of the stock photo used for Discount Plan babies. This is considered a service and will not be refunded should you decide not to purchase the animal. We hope that all of our customers respect our animals and our policies as much as we respect and appreciate all of our customers. We will be happy to discuss our breeding program with you at a later date should you want to explore the possibility of breeding your pet purchased through the Discount Plan. Over the past 30+ years of breeding animals we have been fortunate to have worked with many mentors who shared their knowledge and experiences with us.